MONTGOMERY COUNTY, OH (KTRK) -- A man accused of rushing the stage at a Donald Trump rally will appear before a federal judge again. 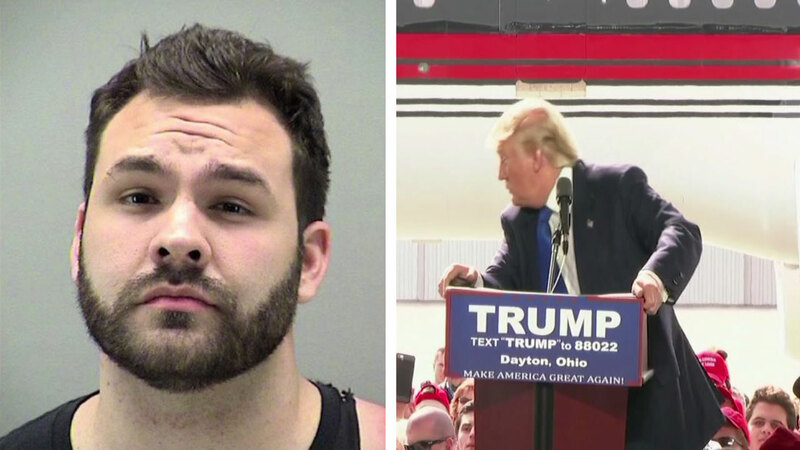 Thomas Dimassimo, 22, is accused of breaching security in an attempt to rush the stage during a rally in Vandalia, Ohio in early March. Dimassimo has been charged in a federal court. A protestor was punched as he was being led out of a Donald Trump rally in Arizona Sunday. Prosecutors say he entered a restricted building without lawful authority, and knowingly entered a restricted area cordoned off by Secret Service. Dimassio could face up to a year in prison and $100,000 in fines. Police used pepper spray outside a Trump rally in Missouri Saturday.